Swarovski Remix Collection Bee, Black, Gold plating. Size: 17.3 cm. Enjoy limitless possibilities with the versatile Swarovski Remix Collection, by simply combining different strands using their invisible magnetic closures. 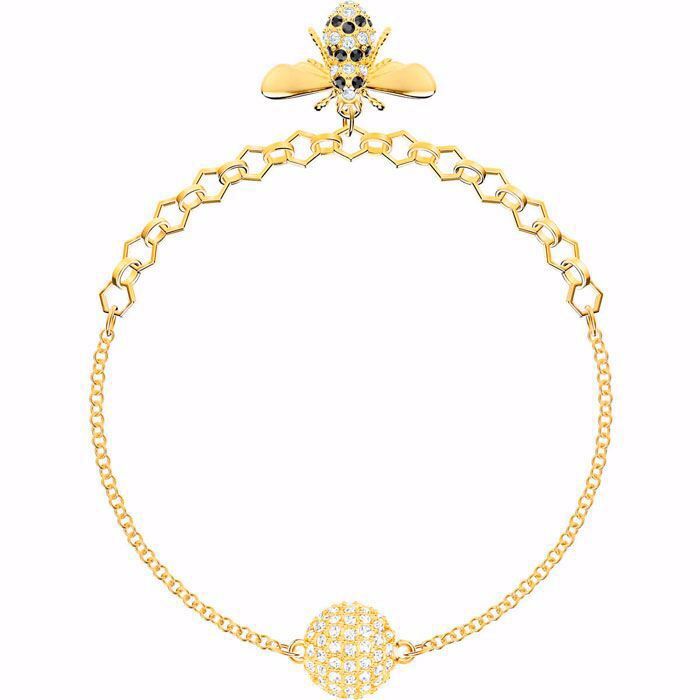 Ideal for gifting this spring and summer, this gold-plated strand features black, clear, and golden crystal embellishments and an on-trend bee motif. Wear it solo as a bracelet, or add other strands to assemble your own customized choker, necklace, or double-wrap bracelet.